Hippocrates, considered the father of medicine, was quoted as saying: “Let food be thy medicine and medicine be thy food.” In other words, maintaining a healthy diet prevents disease while consuming an unhealthy diet promotes illness and disease. In an article titled “The Real Cost of Food” in this week’s issue of Journal of the American Medical Association (JAMA), the author points out that “suboptimal diet quality is among the leadings factors associated with death and disability in the United States. Due to poor diet quality, there has been an increase in the rates of obesity and diabetes and other “diet-related illnesses” in the U.S. Surprisingly, at a time when diet-related illness are on the rise, the health care system “has prioritized medications, devices and procedures to treat rather than prevent diseases and their risk factors.” Remember, our health care system is a for-profit industry. The more illness, more hospitalizations and the more medications being prescribed the greater the profits. Our health care system is set up to treat disease not to promote wellness. Some may argue that our health care system is broken. “The current economic burdens of cardiovascular disease and diabetes, predominantly caused by poor diet quality, are estimated to approach $700 billion per year” and the increasing cost of chronic disease is unsustainable. Studies have shown that “more highly processed foods have been linked to risk of chronic disease.” Basically, any food that comes in a box or a wrapper is highly processed. So is fast food, protein bars, soda and many other foods. A healthy diet would remove all processed foods from the diet. Not surprisingly, individuals with healthier diets have lower health care costs and lead longer, more productive lives So why don’t we just eat healthier diets with higher quality foods? First of all, higher quality diets typically cost more than lower-quality diets providing a short-term financial disincentive to eat healthfully. 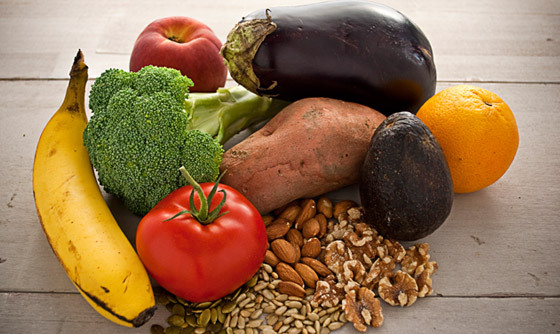 Eating healthy also requires us to shop for fruits and vegetables twice weekly as these foods are perishable and need to be eaten several days after purchase. Finally, eating a healthy diet is about improving the quality of food choices rather than cutting calories. We need to target food quality and diet patterns rather than individual nutrients, calories, vitamins and/or supplements. Make the attempt to consume fruits, vegetables, nuts and whole grains a priority throughout your day. Your body with thank you and your risk of chronic diseases will be reduced.